Feb. 6, 2019: Foxy appears to be a sheltie/golden retriever mix. At only twelve months old, she found herself abandoned at the local shelter by her owner after having delivered, nursed, and weaned her puppies. She would have been euthanized in the shelter but was luckily pulled by a rescue group who saw her gentle nature. Foxy is a medium-sized girl who weighs 30 pounds. She gets along with all of the dogs she has met and is indifferent to the cats that cross her path. She loves attention and will happily jump up next to you for a cuddle. 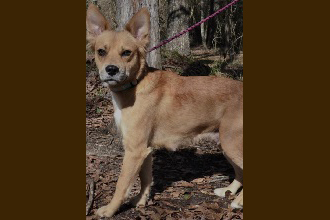 Foxy enjoys exploring her surroundings and has shown to be an excellent walker on a leash. This lovely lady has done very well in her crate and has had no accidents. 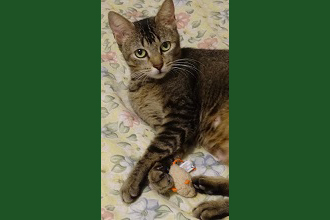 She is kind, gentle, and quiet and will fit nicely into any family or companion situation. If you are interested in learning more about Foxy, please visit http://www.bcaaofnj.org.